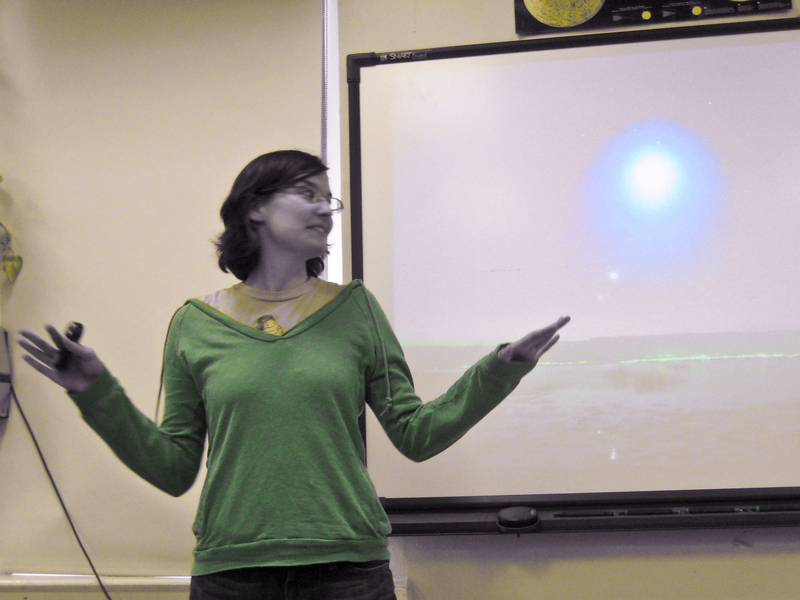 The Columbia University Astronomy Department holds biweekly outreach activities which include lectures and stargazing opportunities. Please see the Columbia Astronomy Outreach Website for event listings. I am also active with speaking to middle school and high school students about astronomy and life as an astonomer, feel free to contact me if you are a teacher who would like to request that I speak to your students. I also lead the once a semester Family Astro workshops for elementary age kids and their parents. Here is an a presentation on the Sun (keynote file) that I created for the Family Astro program.